We told you recently how HTC has at least one handset in the pipeline that will feature a dedicated Facebook button to take users straight into the social network. Now according to PocketNow, we can expect two such handsets, and there are new press photos to prove it! 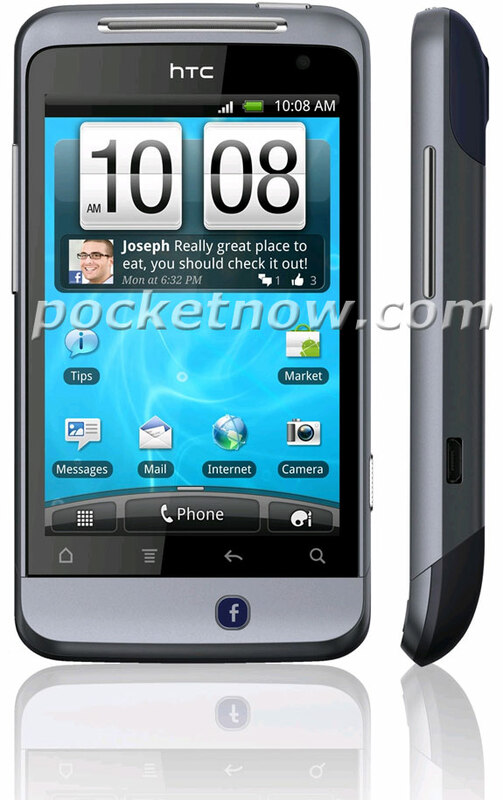 As yet, there are no specifications for either handset, other than the aforementioned Facebook button up front. 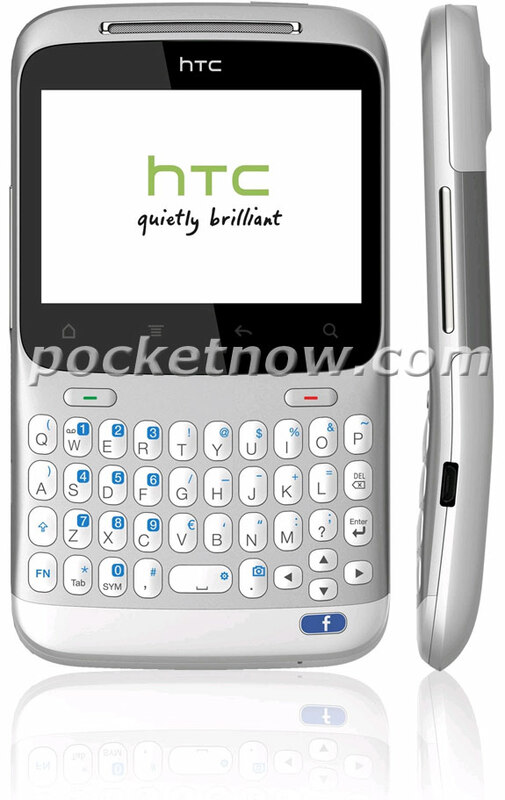 Reports from various sources claim the keyboard-endowed handset will be called the HTC Snap 2, while the touch-screen only version will be known as the HTC Icon. According to PocketNow, the new handsets will feature an always-on GPS chip, presumably to link into Facebook’s Places feature in a similar way to how Google’s Android can leverage its support for Google Latitude. Other than that, specs and indeed specifics, are both very thin on the ground, but with Mobile World Congress continuing over in Barcelona, we’re expecting news of a more official variety sooner rather than later.